Are you looking for a home inspector in Hamilton Mill? Are you looking for a professional who can offer you great advice and superior service? If so, check out Norman Ellis at Stellar Inspections, Inc.
Norman Ellis is trustworthy and educated in the field of home inspection. He will lead you in the right direction whether you are looking to sell or buy a new home. With over 14 years of industry experience and more than 3,000 completed inspections under his belt, Ellis has become a preferred Hamilton Mill home inspector for customers across the area. Norman Ellis has a vast amount of experience in residential marketing, working on custom built houses, commercial construction and interior renovation. He holds a degree in Construction Management and is a certified member of the American Society of Home Inspectors. Ellis continues to study the latest safety codes and housing trends with a minimum of 20 hours’ worth of continued education each year. His Hamilton Mill home inspection services framing, foundation, new construction, pre-listing and resale inspections. In other words, you can rest assured you are in good hands when you hire Stellar Inspections. Hamilton Mill is a beautiful suburb located within driving distance of both Downtown Atlanta and the North Georgia mountains. 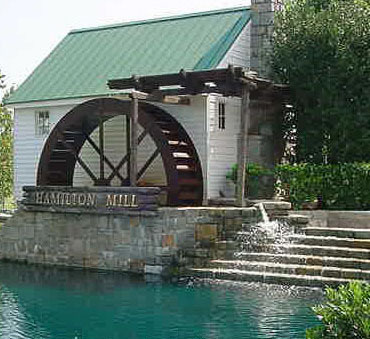 Located in Dacula, Georgia, Hamilton Mill is home to some of the nicest neighborhoods in the Metro Atlanta area. So if you’re looking for a trustworthy home inspector in Hamilton Mill, Georgia, give Stellar Inspections a call! We are happy to answer any questions or concerns you may have.